The Art of Fine Gifts: Art nouveau posters celebrated the joie de vivre of the modern age through promoting both commercial products and cultural exhibitions in their own beautiful style. Informative text accompanies each work and the datepad features previous and next month's views. The turn of the twentieth century brought an exciting new art form: art nouveau posters celebrated the joie de vivre of the modern age through promoting both commercial products and cultural exhibitions in their own beautiful style. 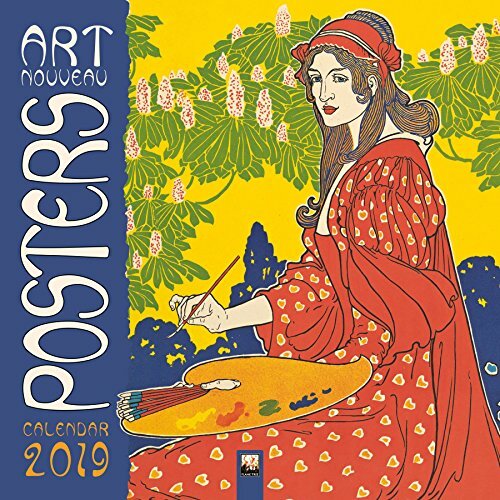 This calendar includes works by such celebrated artists as Alphonse Mucha, Jules Cheret and Theophile Alexandre Steinlen. Informative text accompanies each work and the datepad features previous and next month's views.